With over 1500 satisified Eichler customers, we’re the Bay Area’s trusted resource for roofing and re-coating the roofs of these mid-century gems. Our Abril EcoFoam™ products are state-of-the-art and we’re proud to be an good old-fashioned family business. Like Dad has always said, if a job is worth doing, it’s worth doing right. We treat all our staff like family. We don’t hire just anyone. We hire talented, trustworthy people with aligned values. We appreciate that your home is your castle. We have a leave-it-cleaner-than-you-find-it policy. Our goal is to be as low impact as possible. We have made thousands of homes more sustainable and energy efficient. We also recycle and dispose of all our waste in a responsible manner. We respect your home or business. You should be satisfied with our work. Our staff is certified, experienced and insured. Plus, we are committed to lessening our impact on the planet. 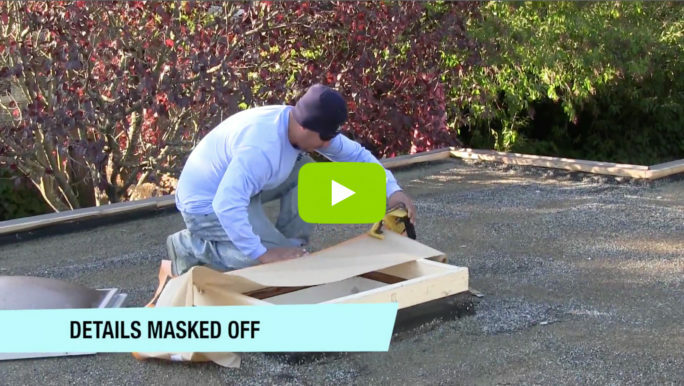 EcoFoam roofs are made of an extremely walkable, durable high-density material. EcoFoam can lower interior temperatures by as much as 15 degrees on a hot day. A recoated foam roof comes with a fully transferable warranty against leaks.